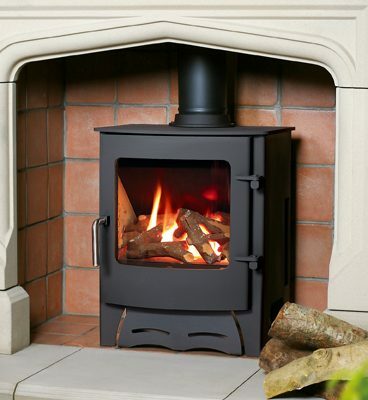 The Pickering is currently our only stove designed solely for burning wood. 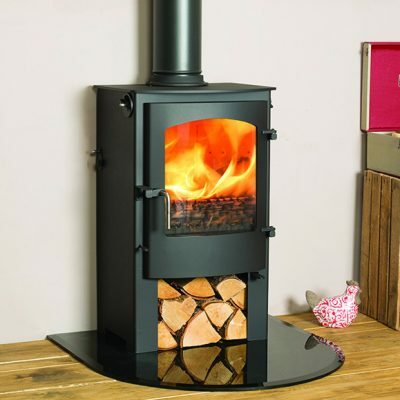 Because of this, there is no need for an ashpan – the wood burns cleanly on the base of the firebox which is lined with firebricks, so when it comes time to clean the stove out, generally there will only be a small amount of ash left to scoop out. 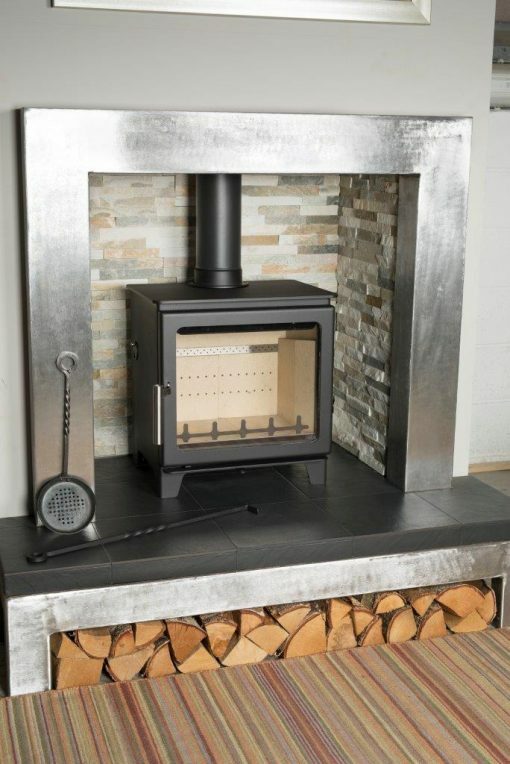 The Pickering also incorporates a new style of stainless steel handle, which maintains a cooler temperature even while the fire is burning, making refueling even easier. As with all our new stoves, the Pickering is ‘ECODESIGN ready’, so has very low emissions, making it a fantastic choice for the environmentally conscious. 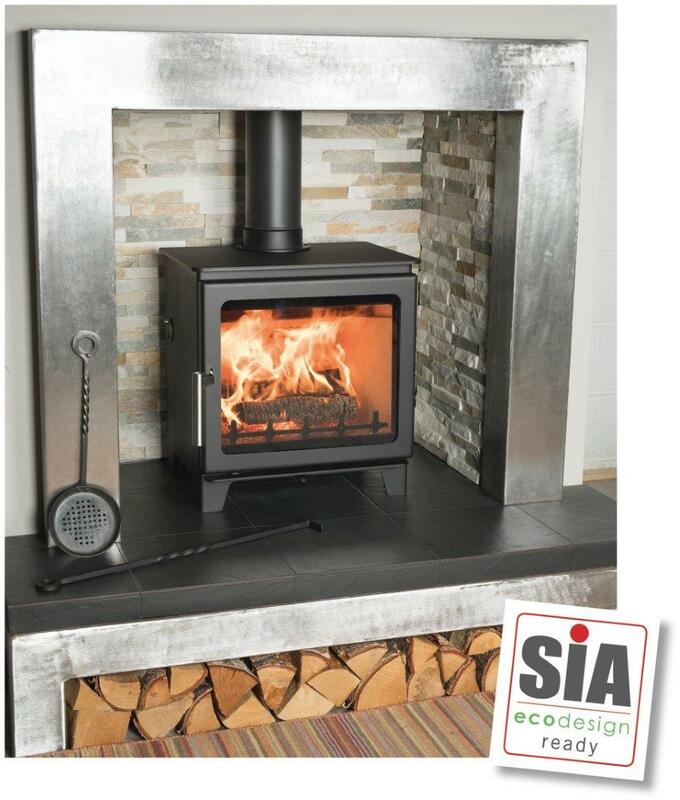 And being approved for use in ‘smoke control zones’, having an 81.9% efficiency, and an energy class of A+, there are so many reasons to choose the Pickering as your next stove. 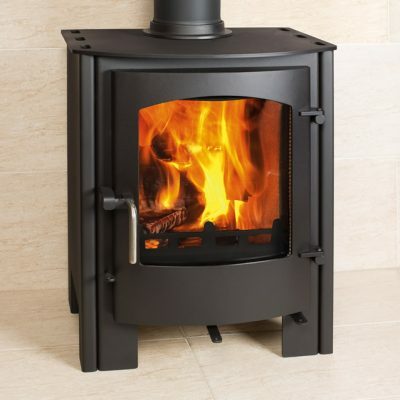 Like all of our stoves, the Pickering is available in black as standard, with a large selection of colours available at a small extra charge. The special paint we use is extremely resistant to high temperatures. The Pickering can be supplied with an outside air kit, which is now a requirement in a lot of new build properties, and this version is also available with remote control if required.